Summer is winding down and the kids are headed back to school! But, that doesn’t mean you have to stop having fun. Make sure you end your summer in the right fashion by taking advantage of some of these fun, cheap, and local events coming up in the next few weeks! 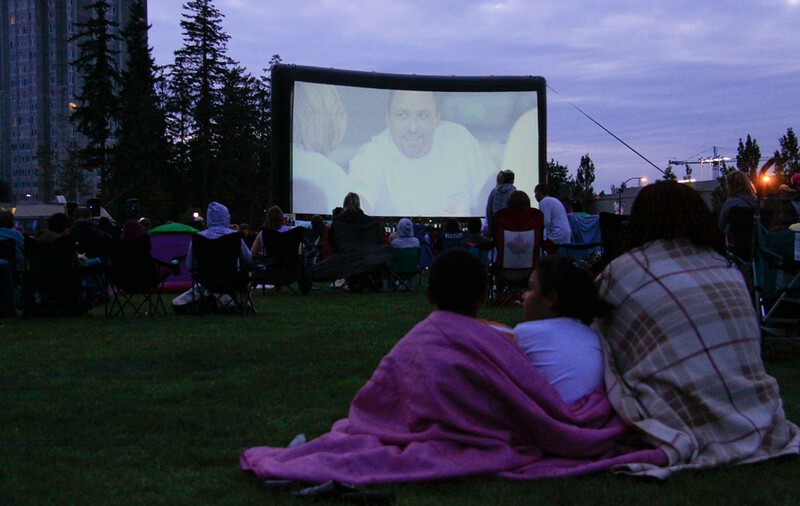 Food trucks, BYO dog, movies at sunset, in San Francisco? Is this a dream? What a great way to finish out summer with the family before sending the kiddos back to school. Maybe you’ll even run into me and my Weim Bodie out there! More info here. 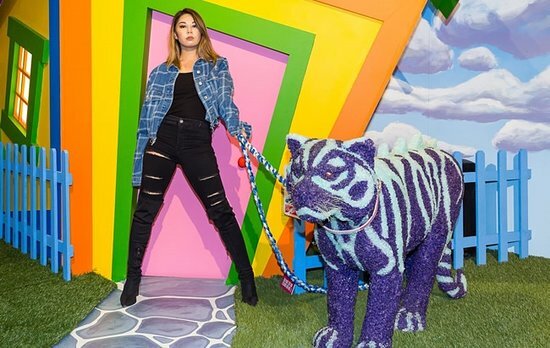 The latest “selfie-friendly pop-up,” as it’s so perfectly described here, is Candytopia! It sold out shows in Southern California and will start making its NorCal debut in early September. Make sure you get tickets as soon as possible – I went to the last one (29 Rooms) and it was unforgettable! The Shadelands Art Center is hosting a 4-hour set of art-making, dancing, music, and more for FREE. It’s open to the public and they encourage entire families to come. The theme is “Art is Magic!” so you know it will be interesting. They will have drinks available for purchase on-site. Look, if you haven’t been to an Off The Grid event yet, you’re missing out. San Francisco is the King of Off the Grid get-together’s, and this one will be no different. Join masses of people, food trucks, drink vendors, and live music for a little campfire party in the Presidio at twilight! Do you always want to go to the local National Parks, but don’t want to pay exorbitant entrance fees? Then Sept. 22nd is the day for you. Explore hikes, lakes, and more at any of the nearby National Parks for FREE! National Public Lands Day is one of the few days of the year in which it’s free to visit any of the parks. Here are the ones in California. Is there anything better than a social gathering for the purpose of eating or drinking? A backyard barbecue with neighbors, a wine-tasting and walking event, food truck frenzies with friends…the list goes on, but the level of awesome remains the same. TimeOut.com has compiled a great list of eight unique Bay Area food festivals, and if you’re someone who enjoys these outings, you must give it a read. I’ve reformatted the list below. Let me know if you end up checking out any of these local foodie fests! Sip and snack on delish lamb-based dishes at this epic gastronomic event and competition that brings together 16 of SF’s most talented chefs to b-a-a-a-a-a-ttle for the title of Lamb Jam San Francisco Champion. Garlic lovers from around the world flock to this small town for food, drinks, crafts, live music and cooking competitions. Be sure to try the garlic ice cream (and don’t forget to bring your toothbrush). July 27–29 10am–7pm at Christmas Hill Park; free–$20. At this healthy food party, discover the versatile uses of the hearty vegetable, from cakes and cookies to snacks and main dishes. Don’t miss the massive zucchinis competing in the growing contest! Aug 18, 19 10am–8pm at Kennedy Park; $5–$10. Ghirardelli pairs its world-famous cacao beans with wine, ice cream and tons of other tasty desserts at this sugary soiree. Indulge guilt-free, knowing that 100 percent of the proceeds are donated to local nonprofit Project Open Hand. Sept 8, 9 noon–5pm at Ghirardelli Square; $26–$55. Cowgirl Creamery, Point Reyes Farmstead, Cypress Grove and other local makers will provide fromage nibbles at this dairy fest. Of course, cheese gets by with a little help from its friends wine and charcuterie, so expect vendors hawking those tasty delights, as well. Pop a Lactaid and get to work. Sept 15 at Social Hall SF; $TBA. SF’s most beloved brunch cocktail gets its own fest this season: Attendees will sample local bars’ tricked-out versions of the tomato-juice-and-vodka cocktail, then vote for the People’s Choice Award winner. Also, a panel of industry judges will pick its favorite version. Sept 29 10:30am–6pm at SOMArts Cultural Center; $45–$55. This four-day gourmet fest delights taste buds with bites from more than 30 Bay Area restaurants, plus cocktail classes, taco parties, and meet and greets with local celebrity chefs. Aug 24 7:15–10pm; Aug 25 12:45–3:30pm, 7-:45–10:30pm; Aug 26 12:45–3:30pm at Fort Mason Center. $109–$229. Eat Real combines a state fair, a street-food festival, and a block party to create a celebration of good food in Oakland. Celebrate ten years of local food vendors, food entrepreneurs, artisan products, and demonstrations from the Bay Area’s top chefs and culinary experts. Sept 14 3–10pm, Sept 15 11am–10pm, Sept 16 11am–7pm at Jack London Square; free. There are a lot of fun, interesting things to do in the Bay Area. That’s part of the allure of living here – visiting San Francisco, Oakland, and Berkeley never gets old, and you have art, music, culture, food, drink, and outdoor adventure literally surrounding you at all times. But, there are still hidden gems out there that stand above the rest in their uniqueness. Recently, I took a day trip to do one of those things! If you’ve never been to Point Reyes, you’re missing out. This is an underrated activity in the Bay Area. I spent a day enjoying oysters and drinking beer at Hog Island Oyster Company with friends, then we visited Drake’s Beach via Pt. Reyes Station, and Cowgirl Creamery. The area itself is a bit of a drive up, we took the route via Skywalker Ranch/Nicasio – a stunningly beautiful, but winding way to go to do something fun and out of the ordinary. We went to Hog Island first, where there is only outside picnic bench seating or standing room (on a wine barrel) if you don’t have reservations. It also happened to be one of the nicest and warmest days the coast had to offer, so it was packed. You have the option of having your oyster shucked and ordering off the menu, or booking the area with grills and bringing your own food after you buy the oysters from Hog Island. It was a wonderful experience and the food was outstanding. I think the ambiance and friends made it taste even better. We also stopped at Drake’s Beach, which has a bluff protecting the beach from the ocean’s breeze, so we had a warm summer day on an empty beach (which I’m sure is different than a place like Stinson Beach!) From there, we visited Pt. Reyes Station, meandered around the town, and took a peek around Cowgirl Creamery, where we tried their cheese at lunch. Take a look at the photo slideshow below to get an idea of how much fun it was! Get your groove on this summer! There’s nothing better than a summer night in the Bay Area. We’re spoiled with perfect weather here, and it means we can spend every evening outside, enjoying the twilight with drink in our hand and a happy hour entree on our plates. It also means it’s time for Summer Concert Series season! Lastly, if you want to venture a bit outside of Walnut Creek, check out our neighbors’ Summer Concert Series in Pleasant Hill’s Plaza in front of Jack’s Restaurant & Bar. The shows take place from 6:30-8:30 p.m. and are, of course, free! No matter which series you choose – or if you try out all three – you’re sure to have a good time jamming to some fun music! Let me know if you visit any of these shows, and how they are! Author KristinPosted on June 19, 2018 June 18, 2018 Categories Featured, Walnut Creek, Walnut Creek EventsTags appetizer, bay area, Bee Gee's Gold, Caravanserai, cocktail, downtown, drink, Earth Wind & Fire, east bay, Fleetwood Masks, free, happy hour, Illeagles, Kalimba, Kristin Lanham, live music, Mariachi Mestizo, nights, Pleasant Hill, real estate, Santana, summer, Summer Concert Series, T Sisters, The Lesher Center, The Sons of the Soul Revivers, Top Shelf Classics, Tribute, Tumbledown House, twilight, Walnut Creek, Walnut Creek LifestyleLeave a comment on Get your groove on this summer! Enjoy some gorgeous hikes before summer ends! With the warm summer weather starting to tail off a bit, all you hikers will want to get out there and hit these last few trails before the season changes completely. Here are four great hike ideas close to San Francisco, from Time Out San Francisco. Claremont Canyon Regional Preserve: a more remote, forested getaway in the Oakland hills with stunning views of the Bay in every direction! Angel Island: 360-degree views of the Bay Area from the highest point, and just a cool getaway for some nature and history. Alamere Falls: If you’re brave enough, you can sneak close to the edge of the 40-foot falls that drop into the ocean. Lands End: An oldie, but a goodie – you can’t beat this classic hike, which can take you through the Sutro Baths, along the coastline, and towards breathtaking Golden Gate views. Obviously, there are plenty of local hikes in the East Bay to explore, too. Mt. Diablo and The Open Space are always fun, as are the views from the Berkeley Hills and Grizzly Peak. If you want something easy to take a stroller or a couple dogs on, try the Lafayette Reservoir! We are very blessed to live in an area that has temperate weather even in the winter, but the beauty of the trails (and the lack of mud!) disappears as fall converges on the summer. It’s supposed to stick in the low 90’s for the rest of this work week, and then start the decline into the 80’s and 70’s in the weeks to come. Take advantage now before you hole up next to the fireplace for the winter! Author KristinPosted on September 26, 2017 September 26, 2017 Categories Featured, WildlifeTags Alamere Falls, Angel Island, bay area, berkeley, Berkeley Hills, east bay, fall, Grizzly Peak, hike, hiking, Kristin Lanham, Lafayette Reservoir, Lands End, Mt. Diablo, oakland, real estate, San Francisco, summer, Sutro Baths, temperature, Time Out San Francisco, views, Walnut Creek Lifestyle, weather, winterLeave a comment on Enjoy some gorgeous hikes before summer ends! It’s not too late to jump on the Walnut Creek summer bike challenge! Are you an avid biker? Is that your summertime physical activity of choice? Even if that’s not the case, you might want to give this cool bike challenge in Walnut Creek a try! It’s a great way to force yourself outside to enjoy the beautiful Bay Area summer weather, get a little exercise, and be environmentally-friendly all at once. Basically, there is a Walnut Creek Summer Bike Challenge that asks you to download a challenge card and complete it before the summer is over. Destinations include Cream in downtown Walnut Creek (what better motivation for going on a ride is there than having ice cream at the finish line? ), Heather Farm and Civic Park. If the exercise, enjoyment and gas savings aren’t enough incentive, there are also prizes! Some squares on the challenge card offer instant prizes or free stuff upon completion, and the program’s grand prize is an iPad. Other Bay Area cities hosting a challenge like this are Brentwood, Martinez, Oakley and Pleasant Hill. Give it a shot and explore our wonderful little town in a whole new way. It’s a heck of a lot cheaper than a SoulCycle subscription! Author KristinPosted on July 20, 2017 July 26, 2017 Categories Featured, Just for fun!, Walnut CreekTags activity, bay area, bike, Biker, Brentwood, challenge, Civic Park, Cream, downtown, exercise, explore, free stuff, Heather Farm, instant prizes, Kristin Lanham, Martinez, Oakley, Pleasant Hill, real estate, SoulCycle, summer, Walnut Creek, Walnut Creek Summer Bike ChallengeLeave a comment on It’s not too late to jump on the Walnut Creek summer bike challenge! Time for this summer to get in-tents! Hah, get it? It’s officially summer in the Bay Area (if you couldn’t tell by the triple-digit heat…), which means it’s time for you to plan some fun camping trips! Luckily, we live in one of the most serene, nature-filled parts of the country and dozens of great campgrounds are just a short drive away. That brings me to this list of local campgrounds provided by Placer Title Company. Some you’ve probably heard of, some you haven’t, but either way you can’t beat the Northern California summer. Some of my favorite areas are Tahoe (of course) and the Redwoods. On this list, I can’t recommend the Tahoe State Recreation Area, Big Basin or Tuolumne Meadows (Yosemite, so get reservations like…yesterday!) enough. I’ve also found that Desolation Wilderness near Tahoe is an amazing, remote spot for hike-in camping. If you have kids, Angel Island is a simple ferry ride (also fun for the kiddos!) and close enough to home that you can do an easy one-nighter. Obviously, if you want to be extremely close to home in the East Bay, hit up Mt. Diablo. They have pretty great campgrounds and almost every single one has a great view of the entire East Bay. I love camping, whether it be in a car or a tent, in the warm NorCal summers. Check out that list, pack your car, and take a weekend off to enjoy the beautiful outdoors. Our natural surroundings are some of the best parts about living in California, so take advantage of it soon! Author KristinPosted on June 22, 2017 June 21, 2017 Categories Featured, WildlifeTags Angel Island, bay area, Big Basin, campgrounds, camping, Desolation Wilderness, east bay, enjoy, family, ferry ride, great outdoors, hammocks, kids, Kristin Lanham, Lake Tahoe, lakes, mountains, Mt. Diablo, Northern California, Placer Title Company, real estate, Redwoods, sleeping bags, summer, Tahoe State Recreation Area, tents, trip, Tuolumne Meadows, vacation, Walnut Creek Lifestyle, warmth, weather, Weekend, YosemiteLeave a comment on Time for this summer to get in-tents!